Dstat's output by default is designed for being interpreted by humans in real-time, however you can export details to CSV output to a file to be imported later into Gnumeric or Excel to generate graphs. Here are the existing plugins, send me your own plugins. See the Manual for options and a summary of each external plugin. 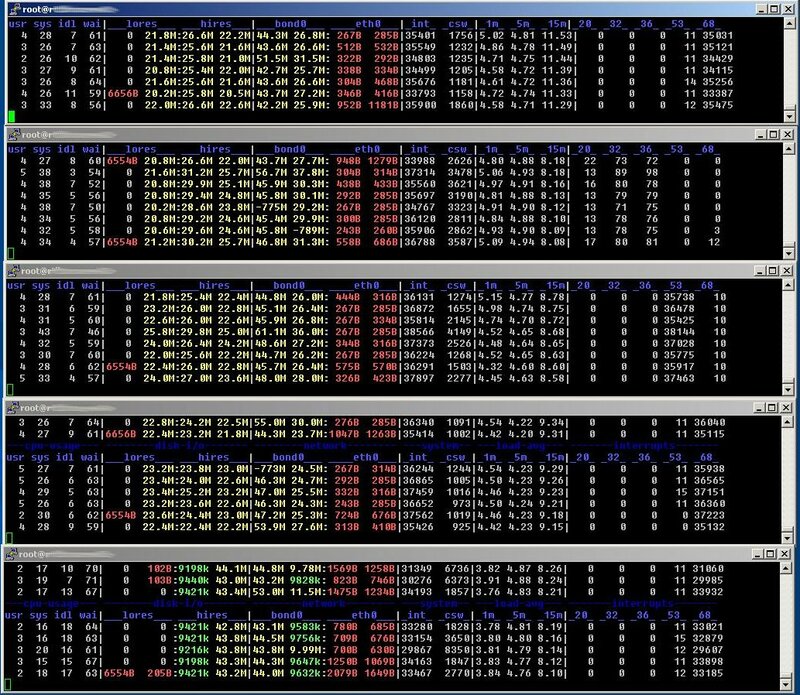 Here are 2 screenshots of older dstat versions in action. Dstat 0.4 on a Power5 system that is being stress tested. Dstat 0.3 (first release) on 5 RHEL3 nodes in a cluster from a Windows terminal. If you've found a bug, please check the Github issue-tracker for known problems and send me updates if you have more information to provide. Please also copy&paste the output of the problem, with a description, the version of the kernel and if appropriate the involved /proc entries. Dstat has a --debug option to profile plugins and show what plugins and /proc entries are affected. Dstat also shows some more information with the --version option that might be useful. The following packages (in order of appearance) are available.